Manufactured in the UK, we make air valves in various materials that give excellent protection in the severe environments associated with offshore applications, sea water service or indeed any other arduous environments. These materials include super duplex, titanium, duplex, stainless-steel, 6mo Hastelloy®, Monel®, Vistar®, Inconel®, aluminium bronze and gunmetal. As with many modern day projects, specific material testing and documentation are a vital part of a contract. Our air valves can be offered with a wide range of detailed material testing to meet each project requirement. We normally use UK foundries that are NorsokM-650 approved and any raw materials are from within the UK / EU. Regardless of quantity, Avarus Valves endeavours to find suitable solutions for specific demands or special circumstances. In light of this, we can manufacture our air valves on short delivery times if needed. We produce air valves with various functions, such as air release (small orifice); air vent and vacuum (bi-function); air release, vent and vacuum (tri-function); and can custom-build to fine detail with options such as a variable throttle device to give adjustable venting control, inflow and outflow check device for one way air flow and flanged outlet for piping away facility. With experience in successfully supplying to multi-national companies, our innovative character and expertise enables us to also supply associated valves, such as exotic material gate, butterfly, ball, check valves and strainers. These can be used for isolation of the air valves or individual use. Centrally located in the UK, we offer a professional and dependable service that is supported by ISO9001:2008 UKAS and ISO1400:2004 quality assurance accreditation. We can also supply flange kits to suit most requirements. Fasteners can be supplied in many exotic materials that offer excellent corrosion resistance in sea water and other arduous environments, and if required, extensive material testing and certification can also be supplied to individual project or client requirements. As the fasteners are bespoke made they can be supplied as bolts, setscrews or studs to any length preferred to suit your requirements. In conjunction with the above fasteners, we can supply gaskets. These include full face, ring, spiral wound, ring type joint which are available in various materials, pressure & temperature ratings. This enables us to supply a complete flange kit which can be fully certified to suit your requirements. A fast-track service can be offered for urgent deliveries. 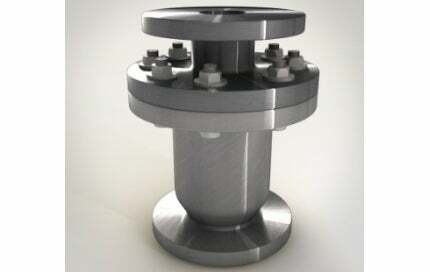 Air valves are normally required on piping systems, for example, offshore fire fighting systems, to vent air from a pipeline/riser on pump start-up and admit air back into the system under vacuum conditions. Alder is a high-pressure and high-temperature gas condensate field located in Block 15/29a of the UK Continental Shelf. Knarr (formerly Jordbaer) oil and gas field is located in production licence 373S of block 34/3 in the Norwegian North Sea. Solan oil field lies in block 205/26A of production licence P164 located in the UK North Sea. It is located west of the Shetland Islands in 135m-deep waters. Manora oil field is located in the G1/48 concession of the Gulf of Thailand. It lies in 44m of water approximately 80km from the coast of Thailand. The Eldfisk field, located at a water depth of 70m around 320km offshore Stavanger in block 2/7 in the Greater Ekofisk Area of the Norwegian North Sea, is the fifth biggest oil field by reserve on the Norwegian Continental Shelf. Su Tu Trang gas field is in Block 15-1 of the Cuu Long Basin off the southern coast of Vietnam. The offshore gas field lies south-east of the Ba Ria-Vung Tau province at a water depth of 50m.